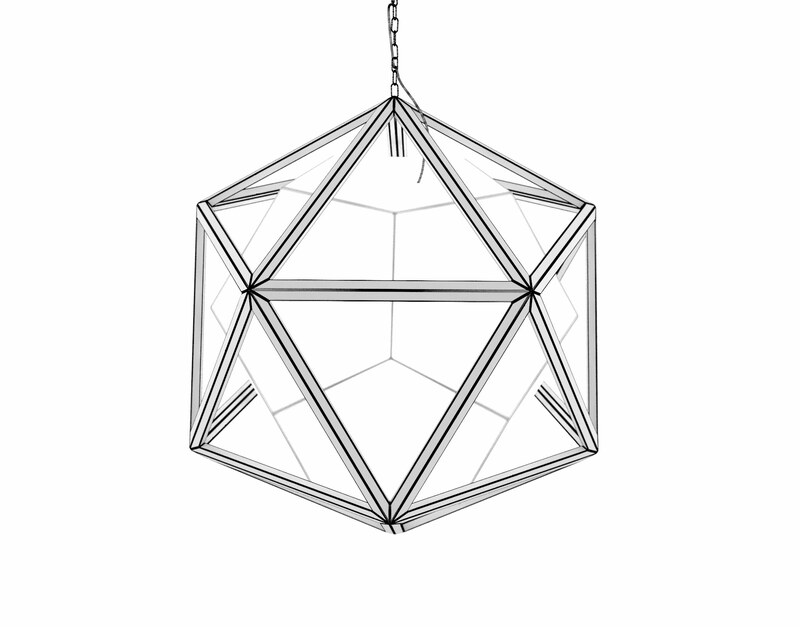 The Icosa Chandelier is a naturalist’s interpretation of one of the fundamental Platonic Solids which describe the nature of our third dimension. This 3D model has been optimized in 3DS Max and VRay and works well to lend a strong sense of warm mystique to nearly any environment. 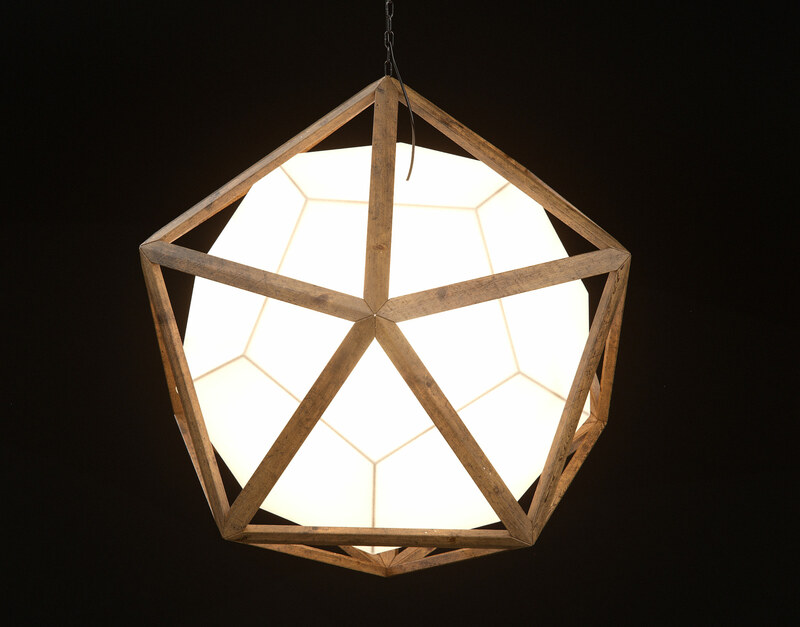 Works great in scenes that feature other reclaimed materials or large open spaces with high ceilings. 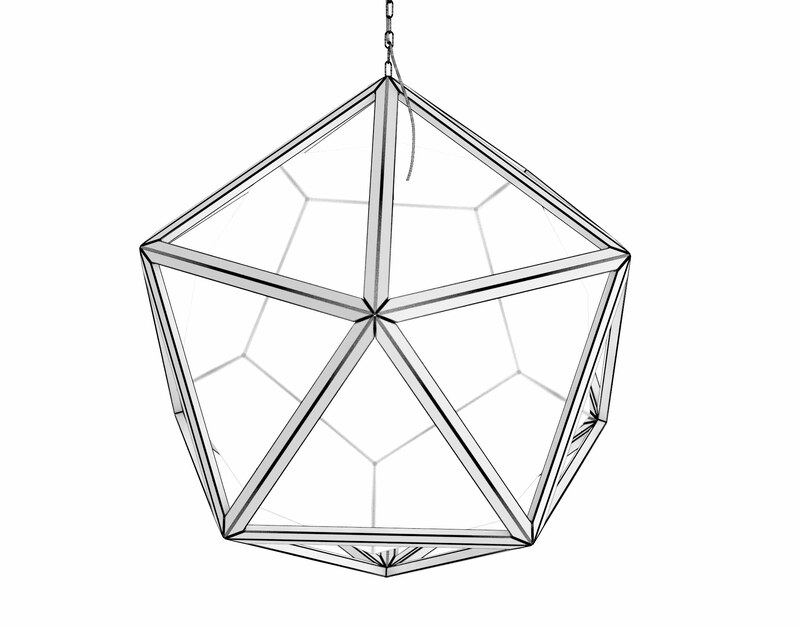 The Icosa Chandelier is a design meant to illustrate one of the most fundamental geometric shapes of our 3-dimensional perspective—the icosahedron. 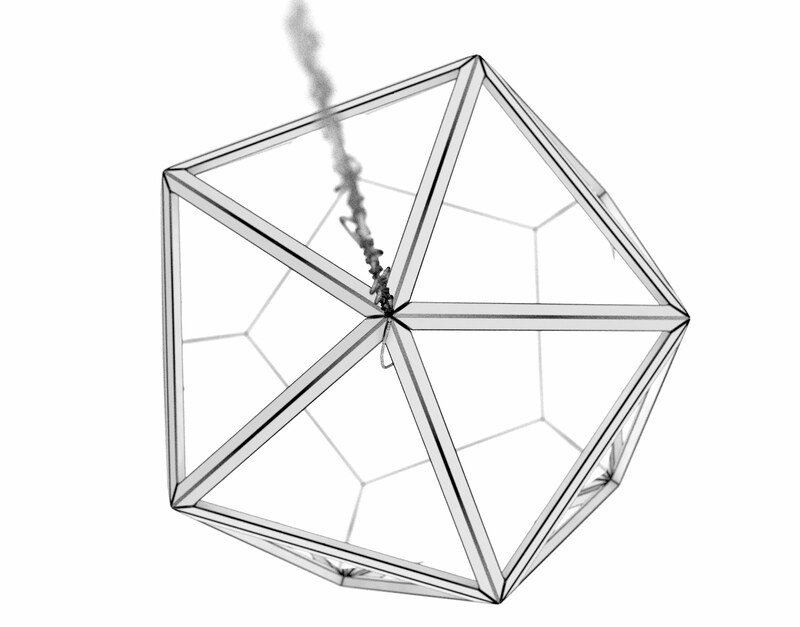 This shape, one of the Platonic Solids, has been found throughout the history of design and arguably one of the favorite shapes of study by such masters as Leonardo DaVinci. 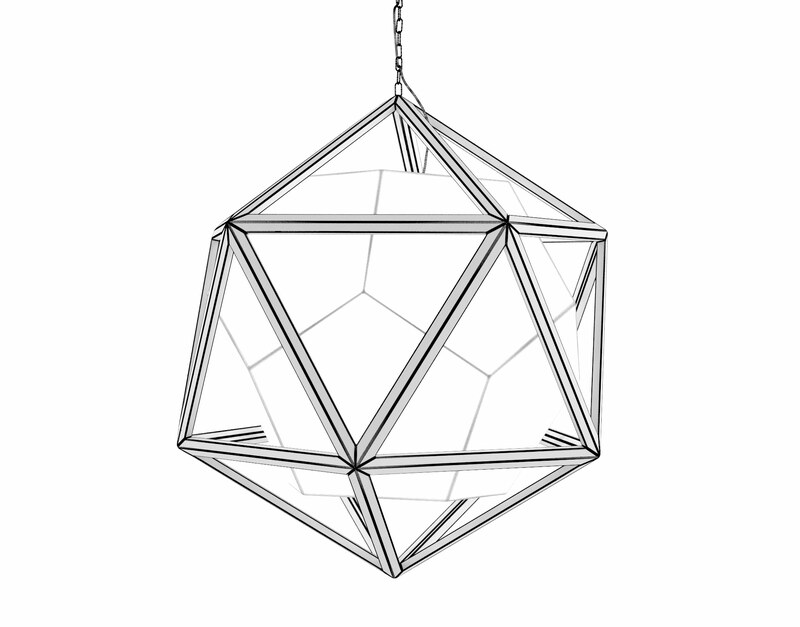 This 3D model interprets the Icosahedron’s shape through a unique skeletal structure given form by reclaimed pine joints and suspended by an industrial steel chain. 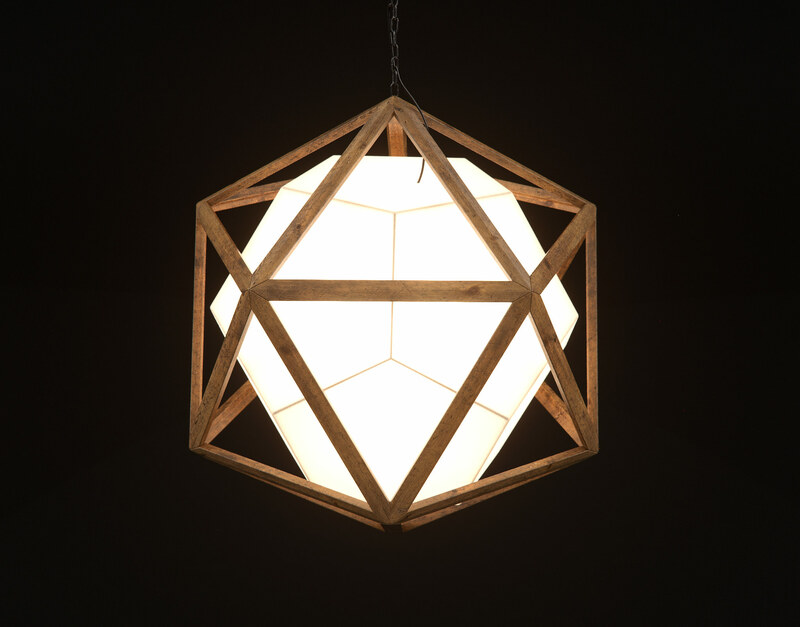 The Icosa Chandelier was modeled in 3D Studio Max and has been optimized for high-resolution photorealism with VRay materials and VRay lights. 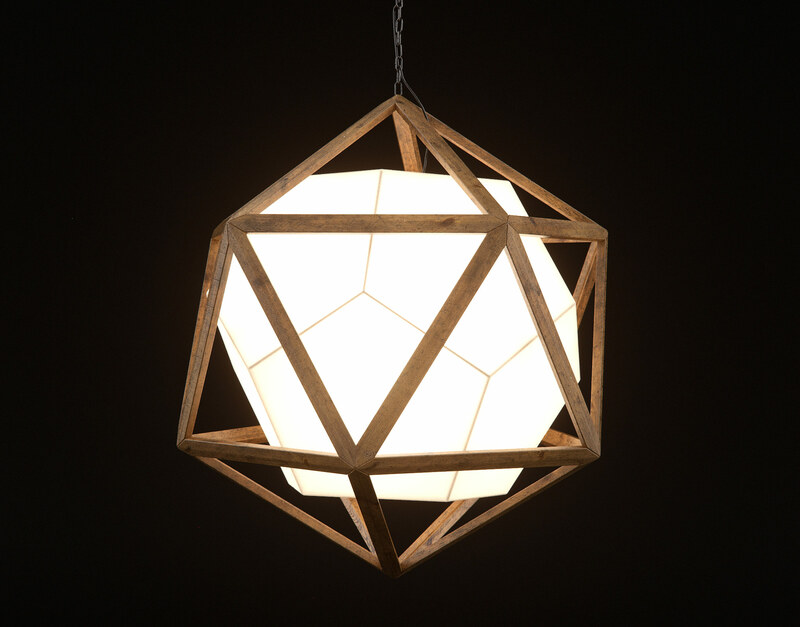 The semi-transparent linen material is a Vray2SidedMtl optimized to allow this 3D model to exude a soft glow within its environment. This design works well in urban loft scenes, naturally-lit rooms with neutral tones, and serves as an intriguing contrast in super modern interiors as well.